Blood pH basically happens to be tightly regulated by a complete system of buffers, which are known to continually maintain it in a normal, slightly alkaline range of 7.35 to 7.45. If truth be told, in case one’s blood pH drops below 7, one can go into a coma, and even die because of the onset of severe acidosis. This causes depression of the central nervous system. On the other hand, blood pH, which goes above the 7.45 mark, can also turn fatal considering that it happens during the last days or hours of life in a majority of people who are terminally and chronically ill. The most common cause of respiratory alkalosis is hyperventilation. Here, you need to bear in mind that overbreathing is extremely common in people who suffer from chronic diseases. One of the central roles in the onset of respiratory alkalosis is played by carbon dioxide. However, it needs to be mentioned here that tissue hypoxia that is triggered by extremely low levels of carbon dioxide in the alveoli is typically the most life-threatening element in people who are severely sick. As we have discussed many times before, CO2 is crucial for the Bohr effect as well as vasodilation. 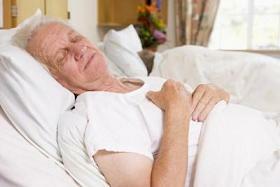 Given below is a YouTube video clip titled “Hypocapnia, Respiratory Alkalosis: Key Causes of Deaths in the Most Sick”. The video basically summarizes numerous epidemiological studies that are associated with ineffective breathing in people who are severely sick, and critically ill. Their breathing happens to be extremely fast and deep, whereas oxygenation of cells is critical. It is for this reason that irrespective of their health condition, it becomes necessary for critically ill patients to be provided with pure oxygen. A majority of people these days believe that the consumption of certain foods can make your blood substantially more acidic or alkaline. Medical research studies on the other hands have proven that breathing, along with blood carbon dioxide, and bicarbonate ion levels happens to be substantially more important factors in terms of blood-pH control. Alveolar hyperventilation, which happens to be extremely common in individuals who are sick, cuts down on cell oxygenation, and increases resting blood lactate levels, intensifies the production of free radicals because of tissue hypoxia (cells suffer from a lack of oxygen), causes diabetic ketoacidosis in patients who are genetically predisposed, while suppressing the immune system along with the main blood-pH buffer systems of the human organism. Long-term effects are typically dependent upon the direction of change (whether it is moving closer to normal breathing or not), along with existing pathologies, genetic factors, diet, thermoregulation, physical exercises etc. 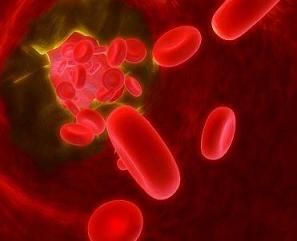 When CO2 gas gets dissolved in blood, it formulates the second largest group of negative ions of blood plasma. For this reason, it is safe to conclude that breathing tends to have a direct impact upon blood pH. Blood pH is tightly monitored in an extremely narrow range (from just about 7.3 – 7.5) by a group of nerve cells that are found in the medulla oblongata. This is done so in order to maintain normal body biochemistry. It is the same group of nerve cells that control breathing by means of several different independent mechanisms. These are inclusive of peripheral and central O2 and CO2 chemoreceptors. 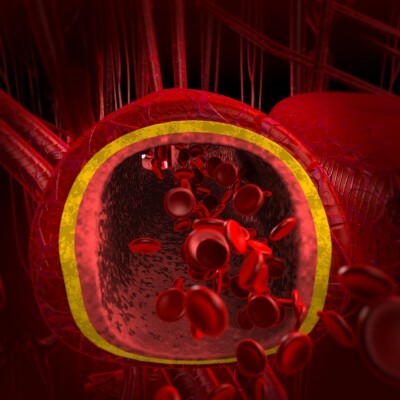 All in all, arterial CO2, by means of varying independent biochemical mechanisms, has the potential to influence blood pH, and trigger respiratory alkalosis in patients suffering from chronic diseases. CO2 also has the potential to impact the viscosity of blood. Arterial hypocapnia and acute hyperventilation make one’s blood substantially more viscous. Generally speaking, this effect happens to be a part of the normal ‘fight-and-flight’ response, which is an immediate reaction to stress. Although this proves useful in the short term to prevent blood loss due to bleeding, increased levels of blood viscosity places a substantial strain over the heart muscles, and triggers a number of negative effects that leads to, for instance, thrombosis (the formation of blood clots). It was found by Dr. KP Buteyko along with more than 180 of his medical colleagues that CO2 has the ability to control and regulate the properties and composition of all other bodily fluids as well. These include the composition and properties of mucus and saliva, secretions of the stomach, mucus, and pH of the urine etc. For instance, for a majority of people, in conditions of hyperventilation, stomach, as well as urinary pH become extremely low (or too acidic), thereby leading to the onset of gastritis, urinary stones or ulcers etc. Apart from respiratory alkalosis, there are a number of other negative effects as well that can cause overbreathing.